The kittiwakes were still sitting on their cliff side nests, but the puffin burrows were empty – most of the puffins have returned to their life at sea. A few were hanging around, but not many. 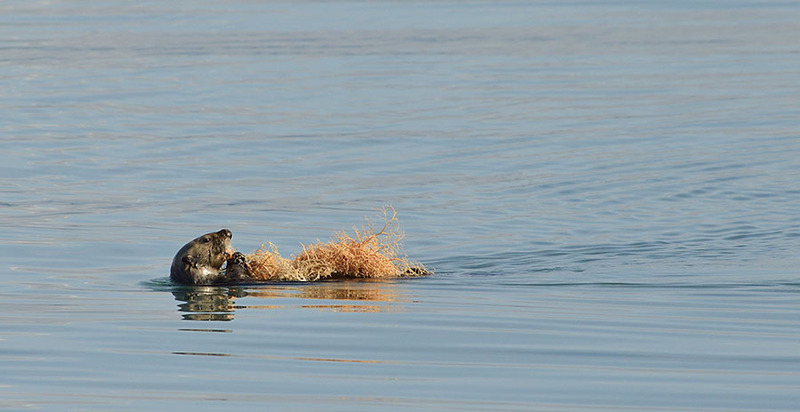 On our way into the North Sandy anchorage, we spotted this sea otter eating a large orange something… we finally figured out that it was a good sized basket star. They are absolutely adorable animals, but they will decimate all the sea life in an area in short order – so with no predators to control their numbers they are a problem. We didn’t have the best weather for the next few days, though that doesn’t slow us down much. We spotted the same brown bear and her three cubs from last summer, wandering along the shore and up a creek. Last year we weren’t that hopeful for one of the cubs – he was pretty small compared to his siblings, but there he was – still a little smaller but healthy. Rangers at the Park Headquarters confirmed that it was the same bear family. It was pouring down rain so we couldn’t get any decent photos, but sometimes it’s good to just watch and enjoy. Right around the corner from the bears in the creek we found some mountain goats on the cliffs, so we watched them for a while, in the rain. 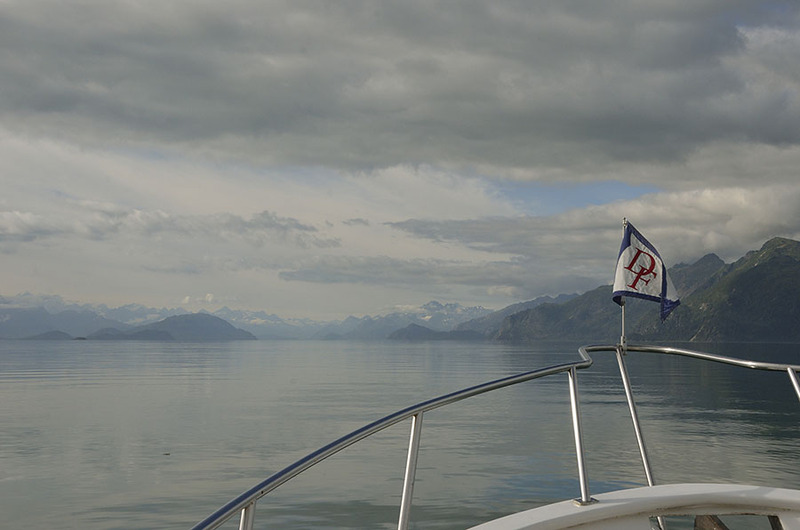 The clouds obscured the distant Fairweather mountain range but they diffused the late day sunlight as we cruised farther up-bay to the Reid Glacier. 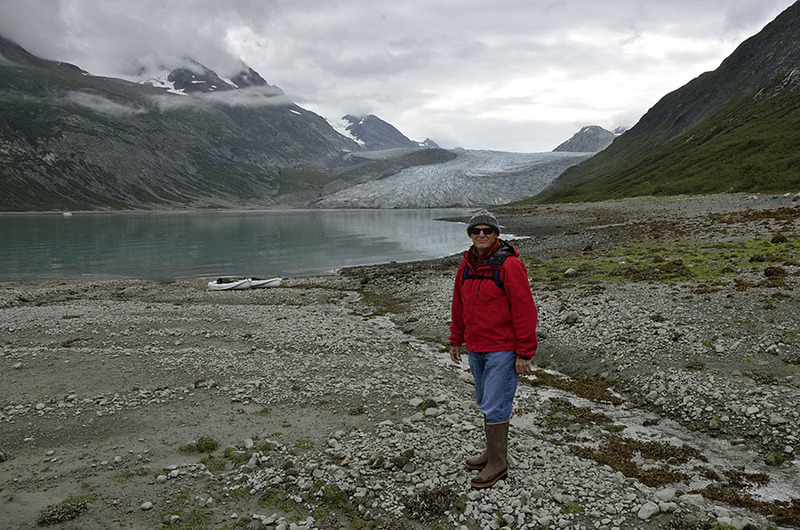 The Reid Glacier is somewhat smaller than the most popular tidewater glaciers in the park, but we love going there since we can anchor in the cove created by the terminal moraine and spend time enjoying our own personal, private glacier. 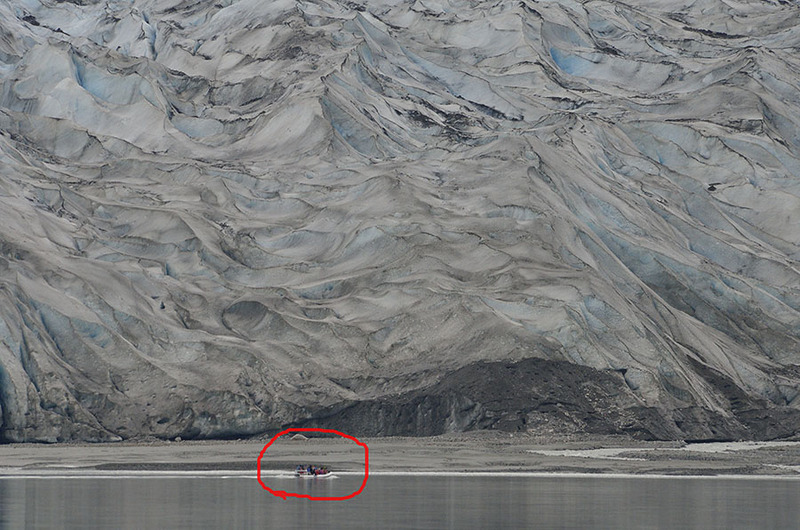 One morning a skiff came in carrying about 6-8 people, and they cruised close to the face of the glacier. It’s a great way to get some perspective on how big this “smaller” glacier really is! We got the kayaks down and paddled ashore – we had been stuck aboard for a number of days and we were anxious to hike around and stretch our legs. We always expect the temperature to be cooler around the glaciers, but the nip of fall was definitely in the air. 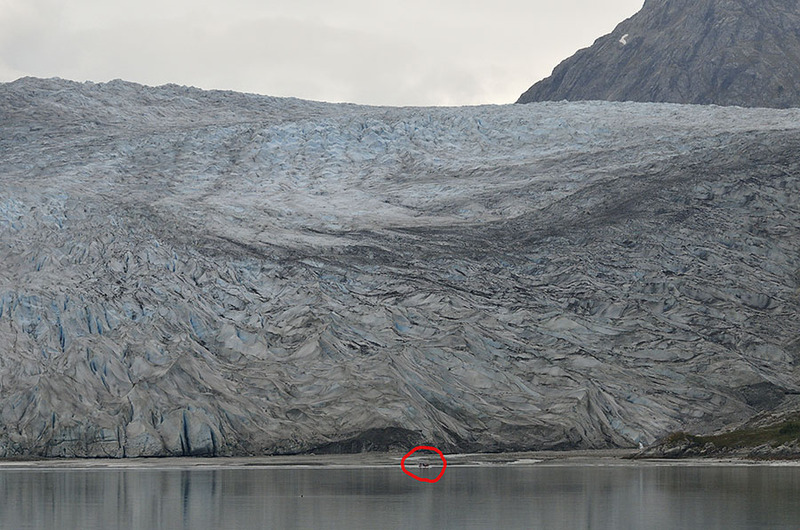 Later in the afternoon I took the kayak all the way up to the glacier’s face at high tide, getting a close look at the details in the ice as well as the beautiful colors. The colors don’t look real, but they are – the blue comes from ice that is so dense it absorbs every wavelength of light except blue. So many shades of blue! I loved getting so close, but I had to be mindful of calving ice. 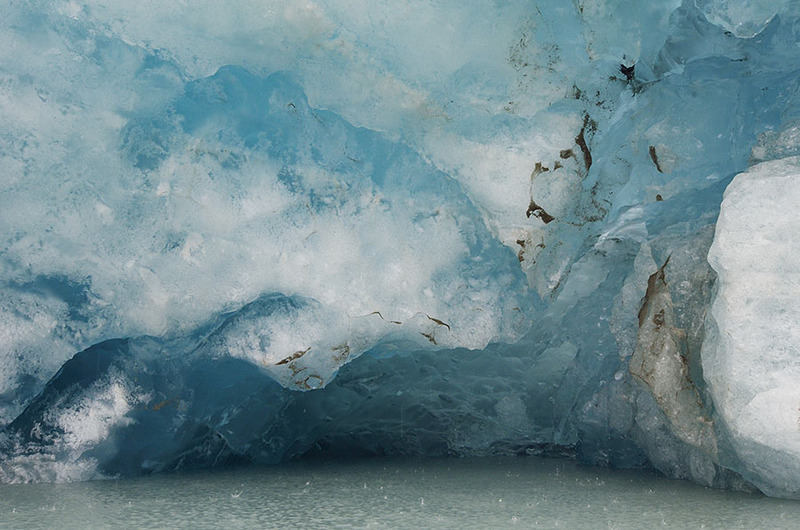 Glaciers are neat to just listen to – they groan and pop and crack, and there’s always the sound of water – dripping meltwater and rushing, roaring melt streams coming out from underneath. They may move slowly but they’re certainly active. On our last evening in the park we finally had a nice sunset. So many places in southeast Alaska are surrounded by tall mountains so the sun disappears behind them before it gets low enough for us to see that lovely warm light, and living in a rainforest a lot of days are overcast – so we really appreciate a nice sunset when we get one. 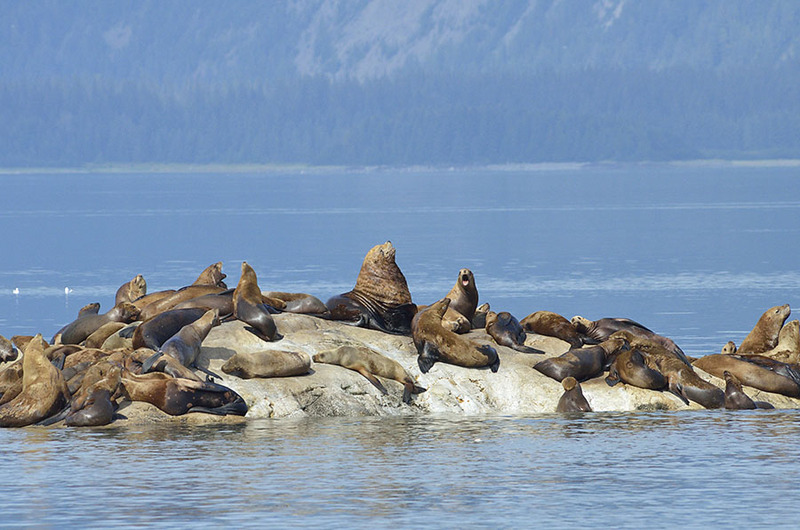 What a special tribute to the waning days of summer and cruising the Alaskan coast. 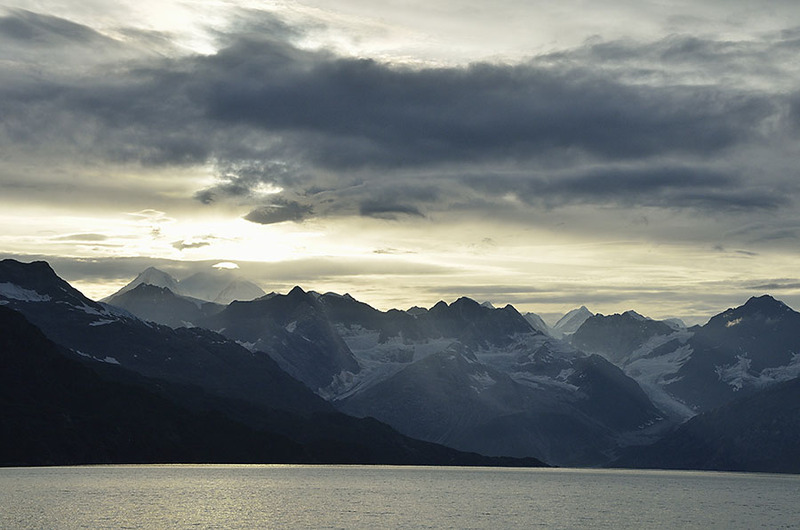 Your description of glacier colors and sounds help us to actually feel what you are experiencing. And that puffin picture is priceless! Robin, these photos are so unbelievably beautiful. It was so good to see you both in Kilmarnock — wish it could have been for longer. Next time!